I had never watched Archery before today, but spent most of the day being hooked on the Men’s team event. The final of this saw Italy take on the US in an intense game of shooting. After being behind by 4 or 5 points for most of the match, the US team pulled themselves back to being just a single point behind the Italians. 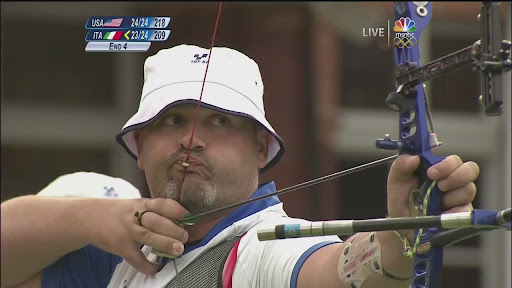 With seconds to go in the final set of shots, Michele Frangilli had to score a 10 in order to beat the US with his final arrow. It was a dramatic moment and the fact he pulled it off while under such pressure proved that Italy deserved the Gold medal in the end. I will definitely be watching the Archery from now on. 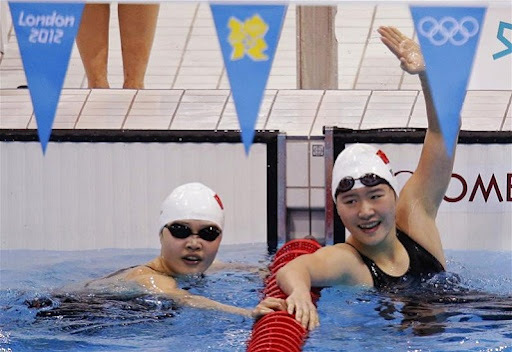 At just 16 years old, Shiwen Ye stormed her way to Gold in the Women’s 400m Individual Medley breaking the World Record too. She delivered some fantastic swimming in the final 50m, and the fact that she stole the limelight from Phelps (who came 4th in his race minutes earlier) and his Gold winning teammate Ryan Lochte is the main reason she’s my athlete of the day. Becky Adlington in the 400m Freestyle is looking like it could be the first medal chance the GB team get at this year’s games and as usual the Swimming is sure to feature plenty of surprises. I’m personally hoping that the women’s Team Archery can match the men’s from today and I am looking forward to seeing the Canoe/Kayak events to get started. Ben Ainslie setting off along with the rest of the Sailing team should be worth a watch too. The song that the BBC have chosen to go along with just about every montage of the games, it’s a good thing I like the song. This is the format I’m going to use from now on I think. Depending on how much I watch on each day, I will either stick to one day a post, or extend to cover a few. Let me know what you think in the comments below. Tags: Swimming. Bookmark the permalink. Previous post ← Will the Olympics take over my life again?